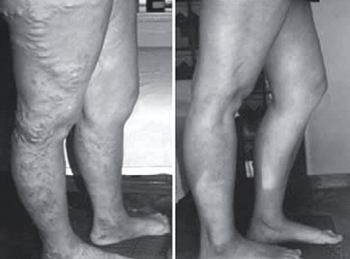 Varicose veins are abnormal veins that can occur in the legs. They can appear as small, thin purple-colored lines (called "spider veins") that lie just below the skin surface, or they can be thick, bulging or knotty veins. While many people think that varicose veins are simply a cosmetic issue, there is in fact often an underlying medical problem that causes varicose veins. This medical condition is called venous reflux disease. Take A Look At Our Successful Results! Spider veins are a type of varicose veins. They are small dilated blood vessels near the surface of the skin. They can develop anywhere on the body, including the legs, specifically on the upper thigh, below the knee joint, and around the ankles. While many people think that varicose veins are simply a cosmetic issue, there is in fact often an underlying medical problem that causes varicose veins. This medical condition is called venous reflux disease. Your first step is to schedule a FREE consultation visit with our experienced physicians today!